Beyond Design provides specialized services to artists, designers, architects and contractors in the field of plastics fabrication. We work in many markets and pursue interesting and challenging projects. Whether it is a crystal clear sculpture, a rotocast dinosaur filled with foam, an epoxy composite building component, or a foam cored, carbon fiber epoxy stressed skin panel, Beyond Design can provide the services and production capability required. EARTHANE is our sister company. With over 35 years in the spray foam business, we serve the industrial, commercial, and residential insulation markets using our namesake foam: an environmentally green urethane foam, blown by water rather than chemicals such as Freon, and made from a sugar base. Through EARTHANE we are working with architects on developing an advanced SIPS (Structural Insulated Panel System) as part of our re-entry into the architectural market. Beyond Design Inc. is re-directing our primary business focus toward the Architectural market. The goal is to bring our experience with plastics, composites and foams back into the construction markets where we started over 30 years ago. The Harrah's Casino Globe and Jeep Liberty Rocks are the newest project page additions to our website. Beyond Design helped create the Horses of Marly featured in this multiple Tony Award winning, critically acclaimed play by Tom Stoppard. Welcome to the website of Beyond Design, Inc. If you have any feedback on the site, we'd love to hear from you. You can email us at beyond13@frontiernet.net or leave comments on our Contact Us page. New York Times review of Across the Universe here. 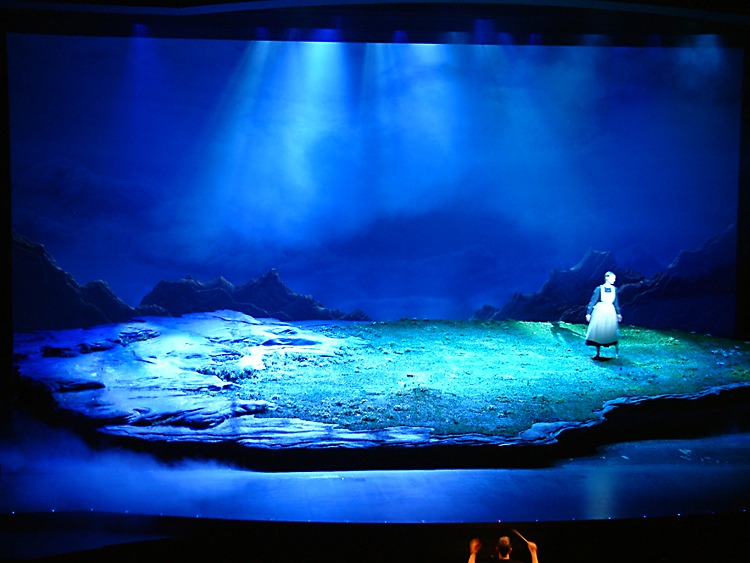 A slideshow of Little Mermaid photos can be found here at the musical's official homepage. Beyond Design helped create some of the set pieces. From the New York Times, a slideshow of photos from the recent Broadway version of Xanadu, featuring many set pieces that Beyond Design helped to create, such as the walls, pillars, etc. More photos can be found here in our Foams & Hardcoats page. The Broadway musical version of The Little Mermaid opens today. 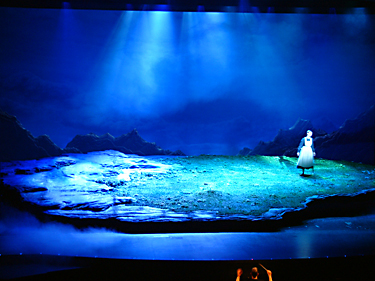 Beyond Design helped to create certain set pieces for this musical. See a news video from ABC regarding the opening here. I Am Legend, the new action/horror movie starring Will Smith, opened this weekend to the highest December opening box office gross ever. Beyond Design helped to create the ticket booth at Times Square for this movie. Our new look goes live today. Across the Universe, the new movie directed by Julie Taymor with songs by the Beatles, opens today in many cities across the US. Beyond Design helped create the Statue of Liberty prop for this movie. See pictures of its making here.